Q: Hi, I’m not sure if this is halogen or LED? I want a nice bright spotlight in a vintage look for my 53 Chevy 3100. Thanks, Nicholas. A: This light is incandescent. It is neither halogen nor LED. Both were not available as options at the time this light was used. Halogen is a specific type of incandescent light with sealed halogen gas. LED is a series of small diodes that emit light. This uses a standard filament lamp. 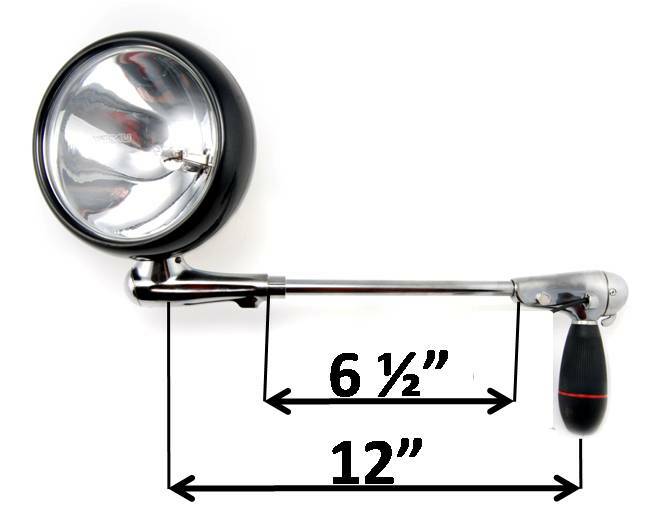 Q: I'm getting ready to order a pair of these classic spotlights for my 2004 GMC Envoy. I want to know if the "GMC" raised logo is still available for the head? A: Yes it is. We have a customization listing of this product. It is "225 Series 6" Vintage Spotlight (S6)" You will be able to select different ornament options there. Unfortunately I cannot post links here. 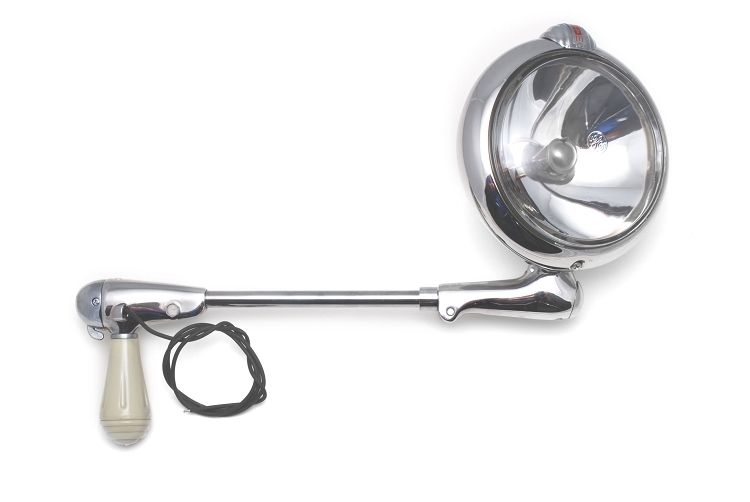 Exposed Shaft: The amount of tubing visible between the head housing and the handle housing when the spotlight is assembled. Center to Center: The distance between where the gears mesh in the handle and where the gears mesh in the head when the spotlight is assembled.